Five hundred pairs of shiny disks hang high in the trees in a three-dimensional cloud above a decked walkway and seating area. The glittering sculpture uses patterns in the forest and the light from the water and sky to create a new destination within the trees. 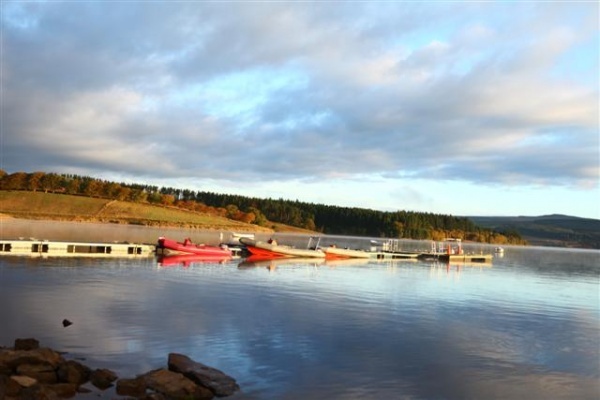 A very tranquil location which is favoured by Red Squirrels, there are beautiful views of Kielder Water through the straight pillars of the Sitka Spruce, from the area of the nearby ferry jetty and at the entrance to Lewisburn inlet.